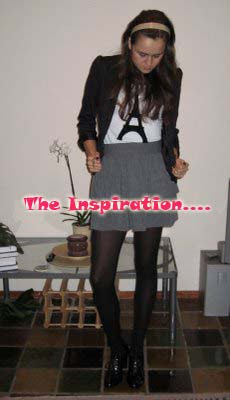 got inspiration from a fashion blogger. well, just let me know, if you know her. which better, mine or her??? -yes and no. I'm studying in Uruguay until July and while I'm here I am doing my best to travel as much as I can. I love traveling! I hope to live in South America after I graduate from my university. I like yours because you made it your own. heyyy it's so cute.. jadi ingetin sama TA gw yg temanya festival sinema perancis hihi... keep on the good work! The ribbon is so cute! It makes me think it would be nice for the real Eiffel tower to have a ribbon tied to it! Thanks for visiting my blog, see you around! artinya gak sah kluarin duit banyak2 say! hello!,I love your writing so much! share we communicate more approximately your post on AOL?